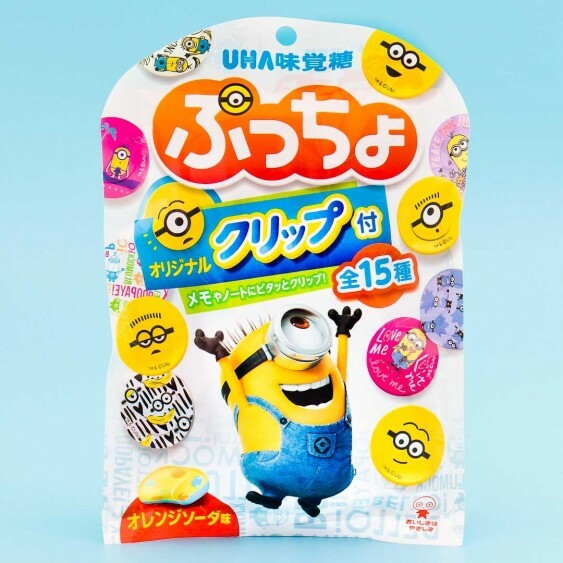 Puccho are chewy and taffy-like candies with a twist! 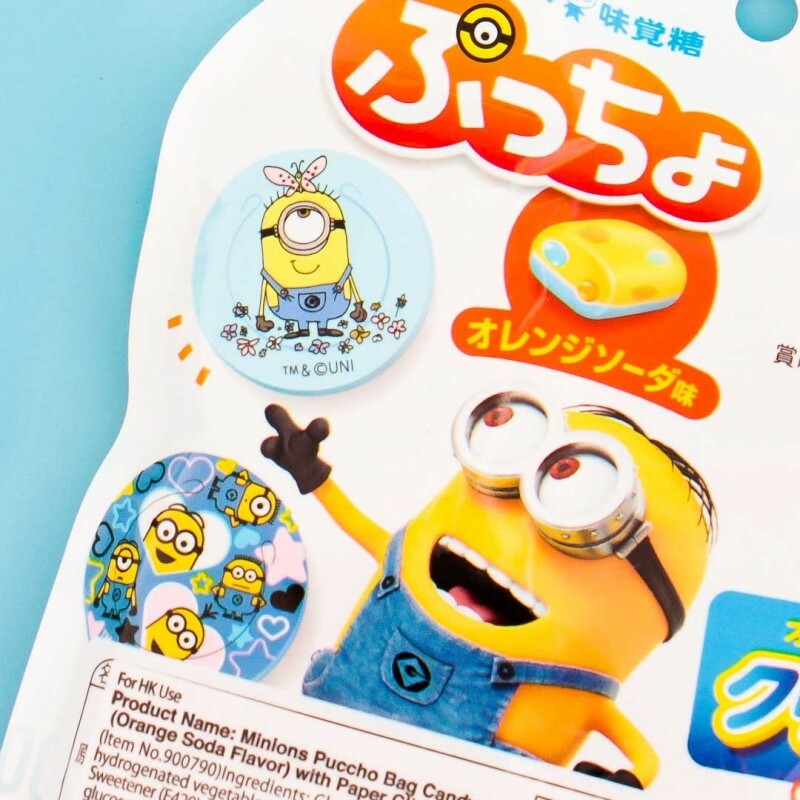 Each piece contains gummy bits bursting with flavor inside! These special edition Minions Puccho have a mouthwatering orange soda taste and are bright yellow and blue - just like the Minions in their overalls! 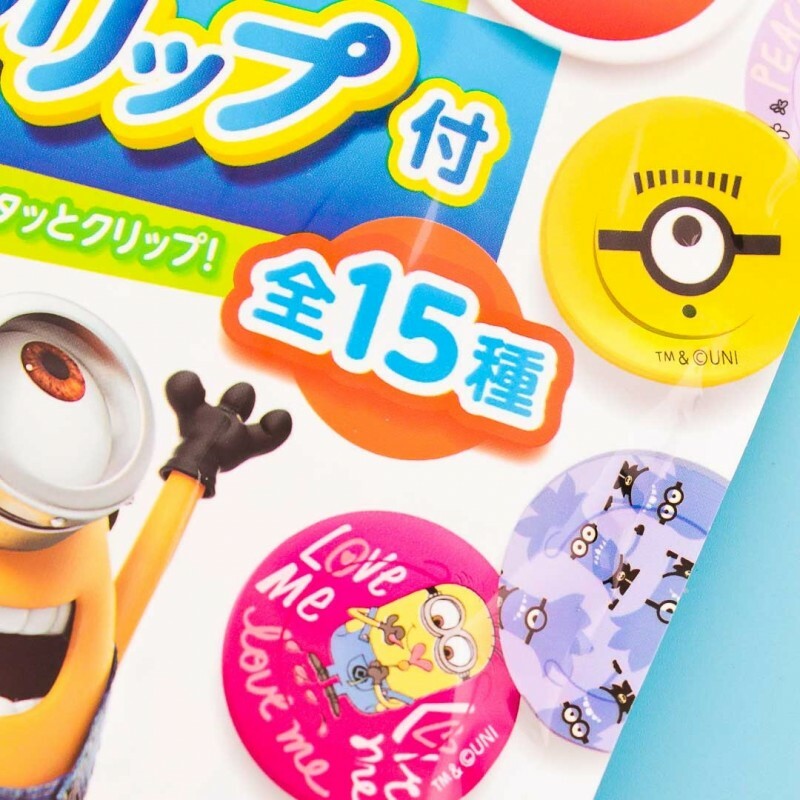 Plus each bag comes with a collectible Minions paper clip out of 15 zany designs!